LP - CD - DVD-Audio - SACD - Blu-ray - Download - which one is right for me? A sound carrier can be readily compared with a vessel. When it's empty, it shouldn't taste or smell like anything - it should be completely neutral. Music is the liquid that is poured into it. And of course, music has a fragrance, colour and sound! Viewed in this way, the vessel "LP" is the one that most readily adds something to the music, for the technical values for whirring, crosstalk between left and right, background noise, etc. definitely lie higher than for the digital "plastic buckets". Nevertheless, this is exactly what many people like. Taken altogether, a seasoning is created out of these ingredients that suits many recordings well. However, the recordings must be suitable for this, and this is best attained with state-of-the-art recording devices of the period, especially tube microphones from the 1940s to '60s and with the tubular tape machines of the period, such as M5 and M10. Our LPs are very popular with numerous friends of "Tube Only" and "Inspiring Tube Sound". The CD has no "seasoning" comparable to that of the LP, and it is subject to the newer digital media both in resolution (16 bits) and frequency response ("only" up to 20,000 Hertz). Nevertheless, most listeners - as we have repeatedly established at countless fairs, presentations and comparisons in the studio - have difficulty recognising, in a proper comparison, whether they are listening to a CD or the analogue original prior to the recording. This is not a question of the "taste" of the music vessel CD. The CD sounds "natural", and for this reason it is exactly the right thing for those who like a straightforward, natural sound and are especially interested in the interpretation of the repertoire. The "Tube Only" and "Inspiring Tube Sound" recordings also turn out very well on CD. DVD-Audio, SACD, Blu-ray and Hi-Res download all play in the first league, as far as purity of the vessel (i.e. sound fidelity) is concerned. 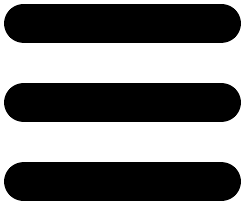 With high resolution, e.g. 24 bit / 96 kHz, the differences do not lie in the sound, but elsewhere, such as in the playing-time capacity, the combination with video contents or in operation. They are all capable of storing multi-channel contents. Whoever is interested in TACET Real Surround Sound must turn to one of these media, for only they are capable of storing 5.1 sound. The DVD-Audio was the first "pure" vessel for Surround Sound. It entered the market as the first of its kind in the year 2000. The first TACET DVD-Audios appeared during that same year. The DVD-Audio was unfortunately not able to assert itself on the market as well as the SACD and Blu-ray. Nevertheless, it fulfils all requirements today as well. It was conceived for the DVD-Audio player, but can be played back onto all DVD-Video players. TACET DVD-Audios do not have stereo, but only 5.1. The SACD has a shorter playing time, but - compared to the DVD-Audio - it offers the advantage that it generally features a second (stereo) layer that can be read by a very simple CD player. Whoever still possesses a stereo system, but wants to be open to the future, will find what he/she needs here. So far, the SACD has the widest offerings in classical recordings. The Blu-ray disc offers stereo and 5.1 in the highest quality, but can take on longer playing times. It can be combined with high-resolution video contents and, as the youngest member of the Surround sound carrier family, it unites the attainments of all sound carriers so far with many new possibilities. The download quality depends on the platform. 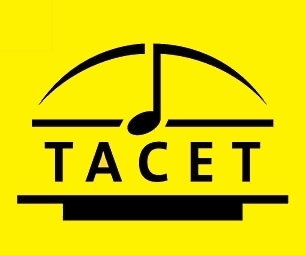 TACET recordings are only found on portals with high resolution. And that is one of the secrets of the success of TACET: it doesn't matter to us which one of these - so far 6 - possibilities you decide on. We offer all the "music vessels".